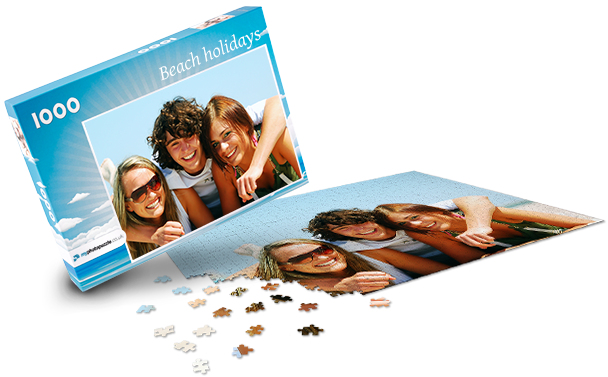 Our photo puzzles with 100 - 2000 pieces come with a classic and very classy box made of cardboard. 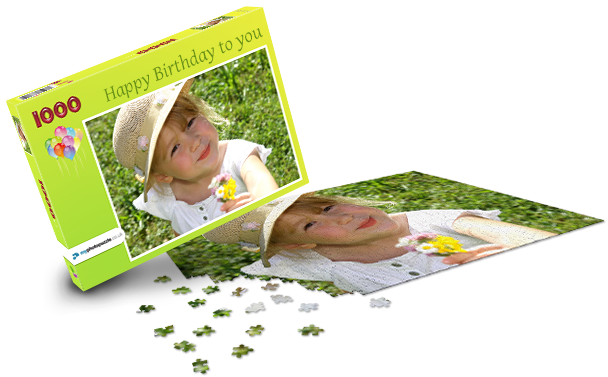 Thanks to the available layouts and the possibility to put a title on top, the box may serve as a very attractive gift box - without additional costs. 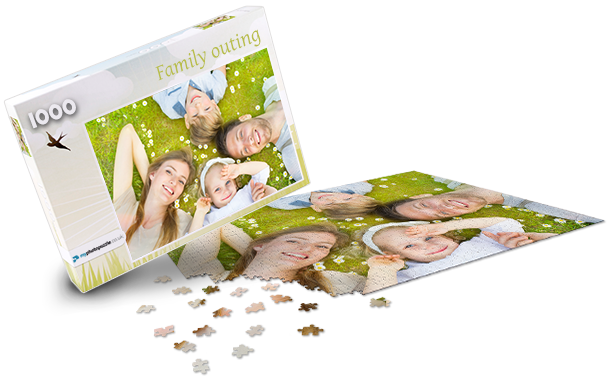 After having uploaded your photograph or collage, you may prepare the high value box that belongs to your photo puzzle. Compare all the possibilities in the preview and choose the most suitable design from our wide range of layouts. Finally enter a title. 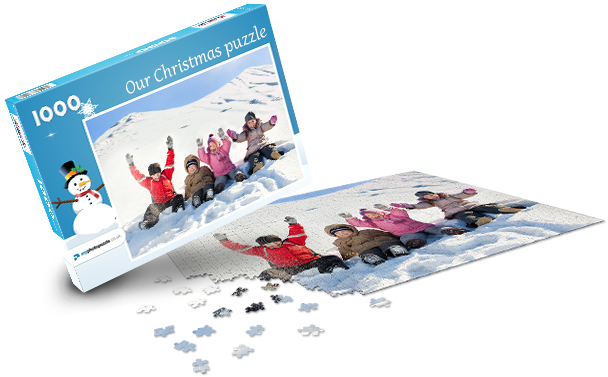 This title will be printed on top of the box, together with your photo or collage. 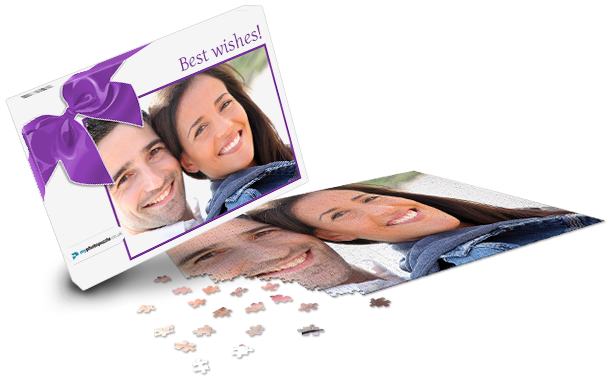 This will turn your photo puzzle into a perfect rounded off gift. 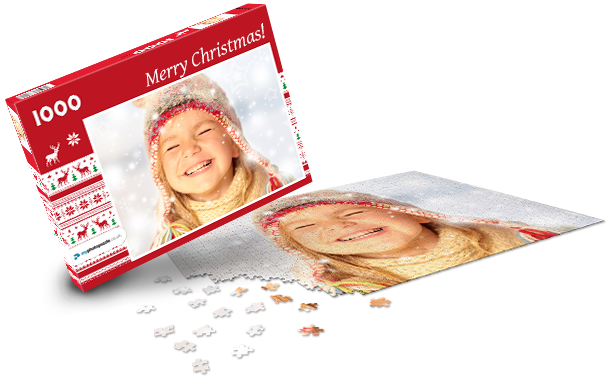 Tip: If you want the puzzle to be a real surprise and you do not want the receiver to see what is on the puzzle, you may of course choose a box on which the photo will not be printed. 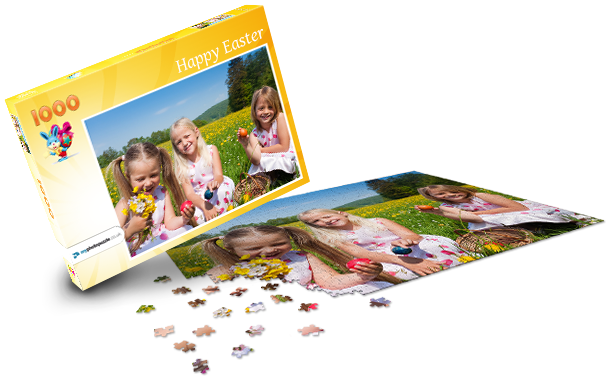 Just open the category "Without image" and select one of these image free boxes. 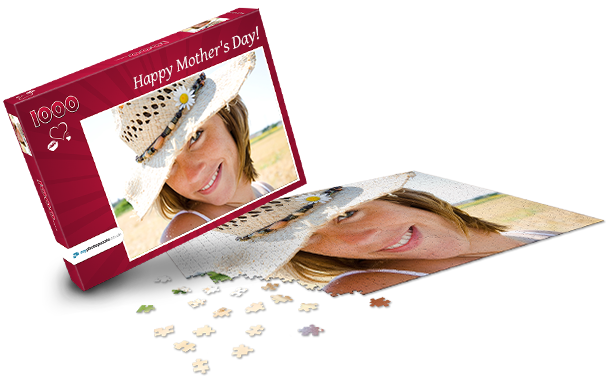 Although it will not have a photo on top, you may enter a title or a dedication.